Looking for trail cameras that sends pictures to your phone? You are at the right place. With the trends in technology taking over the world, the trail cameras are also gaining popularity day by day. Well, why not? It is a perfect camera for hunting and outdoor purpose where you can snap still photos or videos without any your involvement. 24 What You Need To Look For while buying a Cellular Trail Camera? 24.8 How do Trail Cameras Work? There are so many different types of trail cameras but, the ones that are gaining the most adoration of the outdoor enthusiasts would have to be the wireless or cellular trail cameras. These cameras can help in transmitting videos and images to the phones of the users. With some interesting features and benefits, these trail cameras are convenient, user-friendly and a great way to ensure security. If you are looking to buy the best trail cameras that send pictures to your phones, then we suggest you read this article till the end. Choosing the right trail camera can be a daunting task if you are purchasing it for the first time. 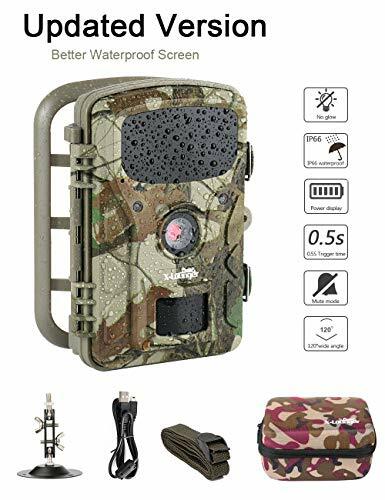 In this detailed post we have tried to cover the features as well as the pros and cons of all the 10 best cellular trail cameras. Just to make sure that you get to choose only the best of the trail cameras in the market, we cherry picked only 10 trail cameras out of nearly 23 different cellular trail cameras. Now that you have checked the list, it is time that we delve into detail reviews. Take any outdoor sport, you cannot excel in the game without proper gear. Talking about hunting, be it the GPS, rangefinder, binocular, flashlight or compound bow, without any of these proper gears, you cannot become a good hunter. We have covered trail cameras in different price ranges so that you can decide better as to which camera to go for. Do not forget to go through the pros and cons of each trail camera review in order to wisely choose the best trail camera that sends pictures to your phone. The X-Lounger game trail camera is a suitable option for hunting, wildlife monitoring, home, and farm security. The camera is made with high-quality fibre plastic. There is a Wi-Fi and SD card and memory card support up to 32 GB in this trail camera. There are some other functions such as video + photo, photo, time lapse, burst photo, and timing. This waterproof camera is IP66 and will work in the temperatures that range between -20 and 60 degree Celsius. It runs on 8 AA powered batteries that support the camera and can standby for 6 months easily. The screen length is about 2.4 inches including the video resolution of 1080p. The trigger speed for the X-Lounger camera is about 0.5 seconds and there is also a detection angle that is as wide as 90 degrees. So, you will be able to cover more territory and also get to capture photos instantly in detection of any motion. Amazingly superfine video and picture quality. Suitable for surveillance and security purposes. This camera is pretty straightforward and very simple to use. Not at all disruptive to the wildlife and bodes well with the environment. Waterproof and can withstand a range of weather conditions. It doesn’t detect movement through the glass. The batteries aren’t capable of lasting for long hours. Here we have another one of the wireless cameras that performs exceptionally well in the 3G coverage of AT&T’s wide network. With the help of Version Snyper Commander wireless trail camera, it becomes a lot easier to spot any movement in the area where you are hunting. This trail camera sends pictures to your phone instantly. The camera uses the convenient wireless network and also has 56 special LED feature for the night usage. There is a night time flash feature using which, taking pictures during the night becomes a lot easier. The camera triggers in about 0.4 seconds which makes it easier to take photos the moment there is any sort of motion in the area. Talking about the video quality, Snyper offers 1080p resolution. Not to mention, the photo resolution stands at an astounding 12 MP. A 3G signal of AT&T makes sure that the camera performs really well. The process of taking photos becomes a lot less time consuming. Suitable for night time usage as it includes a flash. Fast trigger speed of 0.4 seconds ensures that photos are taken instantly. Very high-quality photos and videos. Figuring out the menu can take some time for a beginner. The camera is not water-proof. Apart from its performance in wildlife hunting, the Stealth Cam GXW is just superb for home security. It is a trail camera that sends pictures to your phone very efficiently due to its compatibility of 3G and GSM network. This means that sending photos and videos will become a breeze using the Stealth Cam GXW. There are 3 different options for resolutions so that you can decide the quality of the photos that you want. You will also be able to choose from 4MP, 8MP, and 12MP resolutions of this trail camera. The video resolution is 1080p and the trigger speed is 0.4 seconds. The 45 black Infrared emitters have got a flash range of 100 foot. This means, you will not miss any particular detail on the footage that you get. It is also possible to have updates in real time due because of the trail cameras capability to operate wirelessly. In order to operate the trail camera, it is suggested that you have a data plan and sim card. LCD screen provides a better view of the pictures. There is also a GPS system. 3G and GSM network compatibility. Instant transfer photos to your socail media. You can Download the Andorid and iOS app to operate the camera. Not very long battery span. Not meant for extreme temperatures. 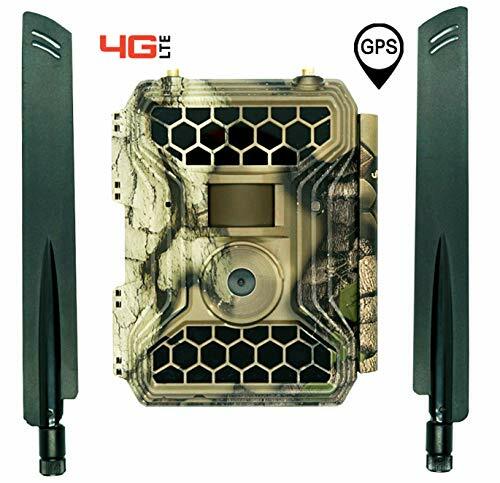 The Boly 3G wireless trail camera uses an application for the transmission of photos and videos through email or phone. 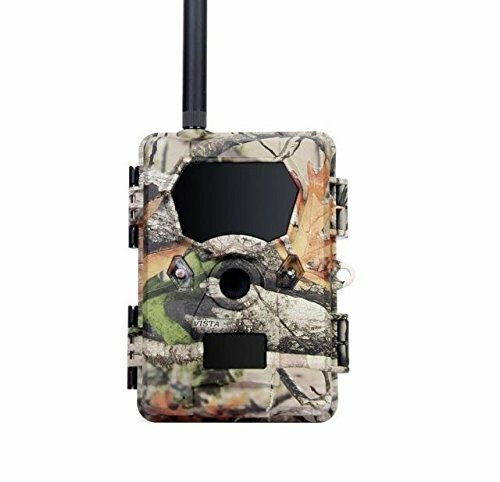 Using this cellular trail camera, you will be able to view the photos in an instant. The in-built LCD display provides a very good picture quality. Including the 14-megapixel photo resolution, you can easily focus even on minute details. The video quality is 720p which is pretty decent. The camera also has an 85ft IR flash range for the night usage. The Black IR range can be used for time interval shots and motion shots. The detection range is 100ft for the camera. The device also has optimal support for all the external power and solar options. The camera application works on Android, iOS, and Windows phones. This means you will have access to your photos no matter where you are. The image resolution for the camera is very high. The LCD display screen ensures clear viewing of the pictures. Video quality of the camera is remarkable. Device is also water resistant. The application works on all mobile platforms. Provides native support for external and solar power. Instant media/photos transfer from phone-to-phone. Not a premium trail camera. The GOCam Spartan is another trail camera that uses Verizon Machine to Machine data plans. This trail camera doesn’t require a sim card. You just need HCO to activate the service. The 12AA lithium batteries power the camera. The pictures are transmitted with the AES 256 encryption. This helps in transferring encrypted data. The Spartan Go is a motion-triggered camera. This helps you to take photos on motion detection. This trail camera can be used to take some impressive shots in situations like hunting, research, and surveillance. The main focus of the GoCam from Spartan is on the usability, performance, and durability. You can send encrypted data. The trigger speed of the camera is a bit low. Bigfoot Cellular 3G camera is one of the top-selling affordable trail cameras that can easily send photos to your mobile. The high-quality image and video resolution amaze the users as you cannot really get such quality for such an affordable price. The 12MP image resolution and the 720p video resolution makes it a decent entry-level trail camera which can be used for various purposes. The motion detection range of the camera is about 62ft. Also, you can use the night time mode in the camera to capture photos even in low light and at night. What really attracts people to the camera is that it is wireless. Just connect it to 3G and you will be ready to go. Great resolution and picture quality for a budget. The motion detection range of the camera is decent. 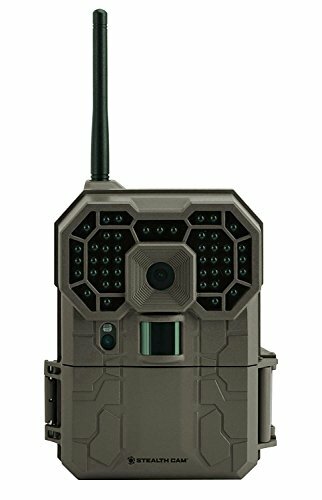 Highly affordable cellular trail camera. Built quality is good and even better as compared to some of its higher priced competitors. The range of the camera can be a disappointment for professionals. The IR range of the camera is also very low. The setup is a little complicated. The HCO Uway is a wireless trail camera that can operate over the wifi or 3G network. The camera is able to save the photos in an SD card. There is also a No Glow Blackout IR Flash Tech used that can be used for stealth mode so that you don’t spook out the animals during the night. The HCO Uway is a great surveillance camera. Real-time photo and video capturing options along with other attractive options such as time-lapse mode and motion capture make this trail camera one the favourite choice. You can also check the live preview of the photos. The IR filter is dead silent which is a plus point. The HCO Uway cameras come with PIR motion sensors that can provide many different detection zones. High definition HD video quality and 8MP picture quality are an added bonus. The amazing part, you can easily change the settings of the MB600 by simply sending text messages. Wireless technology ensures proper functionality. Uses data and texts for transmitting pictures. No glow feature is perfect for night time surveillance. High-quality pictures can be taken on hunting/outdoor expedition. The trigger speed is not very high. The picture quality gets compromised during night time. The best thing about the POMIACAM trail cameras, it has got a TFT colour screen which provides a great view of the videos and photos. The flash range of the camera is about 20 meters and there are IR LEDs in order to go stealth mode. This cellular trail camera has got 3 different resolution options- 8MP, 12MP, and 16MP. The camera is able to take white and black pictures at night and colourful pictures during the day. The PIR sensitivity of the camera is adjustable. The trigger time on this device is 0.5 seconds which is remarkably quick. It has the ability to shoot multiple pictures at a time. The video length and the motion delay options are both adjustable which increases the efficiency of the camera. The device is powered by 6AA batteries and the standby is of 6 months. This camera comes with a sound recording option. Also, it is compatible with the 3G and 2G cellular network and uses the MMS facility to transfer photos. Colored screen makes viewing photos interesting. High quality picture and video quality. Fast trigger speed for instant capture. Battery life can be pinching for long hours of usage. The camera is not weatherproof. The HC-700G is a decent trail camera which can send photos to your phone. This is made capable due to the 3G network which enables transfering of photos to your phone easy and simple. The camera also a 32GB TF. You can change the settings of the cellular camera by sending a simple SMS. It is easier to make the camera stop, capture an image or just get information with the help of this feature. In case, there is no activity, the camera stays in the power-saving mode. The detection angle of the camera is 120 degrees. You will be able to see important information on the picture such as date and time. The camera is capable of taking black and white photos during night and colourful photos during the day. Another great thing here is that the camera has IR LED which makes sure that there is no flash while capturing images at night. The trigger speed of the camera is about 0.5 seconds and the movements are always recorded in the real-time. The flash rage for IR is about 65ft. This camera would certainly be a great addition to your gear as it has got an ample number of features to make your outdoor expedition awesome. Strong network connection due to 3G compatibility. Transmitting is done instantly to the phone or email. SMS can help in controlling the functionalities of the camera. High-quality images and videos can be captured and recorded. No flash IR LED image capturing feature. The battery life of the camera is not that high. It can be a bit difficult to set the camera up for a newbie. Albeit the price of the Kodiak Trail camera can be a bit too much for some, the features make up for the price of this cellular camera. There is a modem for Wi-Fi and Bluetooth connectivity. You don’t really have to worry about data plans, sim cards and connectivity anymore to get your images. You don’t need to be physically present in front of the trail camera to get your pictures. All you need is the application and it is done. You can easily download the photos using that. The Kodiak is an invisible IR camera which gives you the best performance while at hunting or surveillance. The 12MP sensor is there to enhance the picture quality so that your pictures are vivid and sharp. It captures HD videos which enhances your viewing experience. The No Glow LED feature is an added bonus which will keep the camera covert during the night. Due to these features, even the pictures taken at night are very clear and bright. With a 70 ft flash range, this is one of the most efficient models of trail cameras. Not only that, this model can easily stand all weathers and survive the harshest climatic conditions. Certainly, it is one of the best cellular trail cameras that send pictures to your phone. Bluetooth and Wi-Fi connectivity ensures efficient functioning. No Glow feature keeps the camera undercover during the night. The picture and the video quality is very high. There is an option for high-quality sound recording as well. Takes ultra bright night photos. 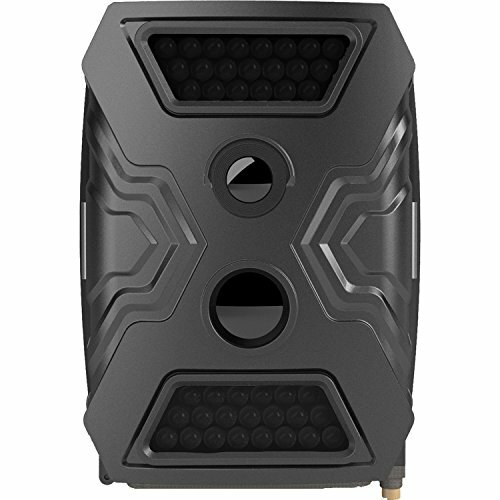 Easily connectivity from a 70-80ft range. Wi-Fi connectivity can be possible only with a Class 4 SD Card or upper version. Difficult to be operated by a newbie. So now that you have checked the top-rated trail cameras that you can use for hunting, security and surveillance. Handling the trail cameras and setting it up is a little tedious task for newbie hunters. Check this detailed video. The video explains in detail how to set up the trail camera, mount it properly, best locations to choose, and how frequently you should check it. What You Need To Look For while buying a Cellular Trail Camera? There are so many factors that contribute to a properly built and functional cellular trail camera. It is really important that you jot down and look at all of these features before you go ahead and buy a trail camera for hunting or surveillance. In this part of the buying guide, we will tell you about the factors that make a good cellular camera. One of the most important things that you need to look for is the company that makes the cellular trail cameras. Secondly, check the signal type of the area where you are staying. Having the right type of camera to get the appropriate signal is really important. There are many carriers which have coverage maps that tell you about the connectivity in the area where you will be setting up the wireless trail camera. There are even some trail cameras that are specifically designed in order to be in conjunction with the different cellular networks. So, in case there is no AT&T signal at your place, you shouldn’t bother buying a trail camera that will use the sim cards of these specific cellular networks. 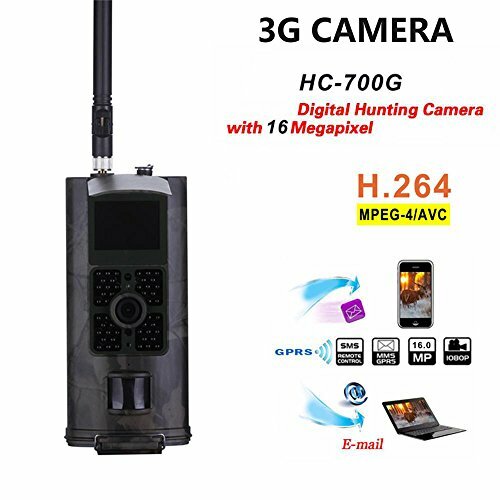 When you are looking for a game camera, you need to know the needs and the requirements regarding the reception that you will be getting in the area. App usage is another thing that is a concern with the trail cameras that send pictures to your phone. Make sure that you have an application downloaded on your laptop or smartphone to ensure that the photos that you get from the cameras are safely delivered. We all want to have trail cameras that take pictures of superior quality. It is really important to pay attention to the resolution of the cameras that you are going to buy. Finding a camera that has got a high resolution will end all the problems. With better picture quality, you will able to focus on anything that is in the pictures including the minute details. Higher the camera resolution, better will be the picture quality. A trail camera’s resolution is more or less similar to the regular camera. Make sure that you get a camera that has more than 8 megapixels in order to capture higher-resolution photos. Another important factor is the camera features. Some important options include time-lapse, scheduled intervals, faster trigger options, night photography and Bluetooth connectivity. All these features help you to take mind-blowing pictures from the trail cameras. Who doesn’t love recording small videos on the trail camera? They are mostly better than the photos. The one thing that you can do in this case is to look for the higher video resolution. This will help you in recording better videos. Make sure that you select the cameras that have a video resolution of 720P and higher. There are many cellular cameras that can be used for taking time-scheduled shots. Motion triggering is another option that you can go for. You need to ensure that you have all the details about the resolution and camera features before finally choosing a wireless cellular trail camera that sends pictures to your phone. Whenever you are searching for a proper cellular camera, you need to look for the ranges of night and day photos. The longer the range, the larger territory you will be able to cover from your cellular wireless trail camera. Also, you need to check if the camera is triggered to capture an instance whenever there is any motion detection. Another important thing is to make sure that you purchase a wireless trail camera that is capable of taking a picture instantly after the movement is detected by the motion sensor. This is known as the ‘Trigger Speed’ of the camera. When buying one, make sure that you look for one that has got a trigger speed that is at least 0.7 seconds. Getting a camera with a faster trigger speed will be cherry on top. Trail cameras are mostly used for security, surveillance and outdoor activities like hunting and shooting. There is no doubt that the camera will be pretty much exposed to different environmental conditions. Factors such as moisture, snow, temperature, rain, and others will have a direct effect on the camera. Buying a trail camera that is resistant to all these weather conditions is very important for you. We would recommend buying the cameras that are made up of strong plastic and fibre material that is tough enough to withstand an aggressive environment. Cameras made up of polymer plastic are highly recommended as the plastic is puncture and dent proof. You also need to make sure that you get a trail camera that is unaffected by moisture. There are also some waterproof options available for trail cameras which could be great for aggressive outdoor usage. Cellular trail cameras can be little expensive as compared to normal digital cameras. Sadly, these cameras also have the tendency of disappearing in outside places. You need to find a particular cellular trail camera that is secure and that you can place outside with assurance that it won’t get misplaced. While looking for a trail camera, make sure that you buy the one that has some anchors where you can hook up some cables so that it cannot be taken away. Some cameras also have the padlock options in the compartment door which make them an even better choice for proper security. Also, you could choose the cellular trail cameras that come with password protection. This will make sure that whoever steals it will not be able to view the personal information and photos without the authentication. The cellular trail cameras aren’t really sturdy. They are costly and hence need to be handled with care. Although sometimes, due to miss-handling, many trail cameras get wasted or broken. In order to solve this issue, you could select a camera that comes with a certain period of warranty. That way, you can have your peace of mind. Most people don’t pay attention to the warranty of the wireless cameras which is a huge mistake. You need to ensure that you have all the information that is required for the warranty of the product. Some cameras even have a warranty for the non-plastic parts including the inside machinery. There are some other benefits of warranties as well. This will tell the user how confident the manufacturer is about the quality of the camera. If the camera is of top-notch quality, there are chances that the warranty will be for a longer period. When it comes to wireless trail cameras, there are certain factors responsible for their operation. It is important to know the factors as it will help you in understanding the camera that you are going to purchase. 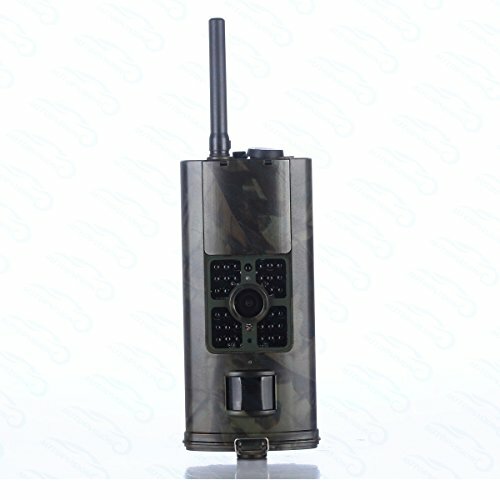 There are many options of cellular trail cameras that use the same technology as of cell phones. You need to have a sim card installed inside the camera to make it work properly. These trail cameras are sometimes restricted to use only a particular network. So, it is important that you know all about the cellular networks that your camera will be able to use before you go ahead and purchase it. The time taken by the cellular camera to send photos to the phone is basically the same time that is taken by two smartphones to transfer the photos. With the help of digital signals, these smart devices or computers can easily receive pictures and videos from cellular cameras. If the sim card idea is not really your thing, you can go for the respective trail camera apps. All you have to do in is, install the app that is provided with the camera and you will be able to control the transfer of the photos from your camera to your device. Since the evolution of technology, the trail camera solves a big problem of security and surveillance apart from being exclusively used by professional hunters and outdoor professionals. In order to use the regular digital cameras, you would have to go outside and be physically present for clicking the photographs. You also have to retrieve the SD card for getting these pictures on your phone. However, with cellular trail cameras, you won’t have to do that anymore. Say goodbye to the time-consuming and effort-taking procedure of taking photos from regular cameras. Also, you don’t have to face the weather and the temperature. Owning a trail camera that directly sends pictures to your phone isn’t a bad idea at all. All you have to do is get the application that will allow you to control the transfer of the photos and you are all set. In that way, you will be able to save a lot of your time and effort. Using a wireless trail camera, you will be able to get access to the photos that were taken moments ago from the camera. When you are using the cameras for hunting purpose, there are some issues that can come your way. For example, while hunting the trail of the deer, you might leave your scent behind which the deer can catch due to their strong nose. When you are using a wireless trail camera, such a problem won’t exist as you will not be physically present in the location. Another great thing about the wireless and cellular trail cameras is that the picture quality remains intact no matter how inconvenient the position of the camera is. While the pictures that you receive will be in a compressed form, the pixels of these photographs doesn’t much in visuals. Same is the case with the videos that you take. Most wireless cameras have got decent resolutions in order to record crisp and clear videos. The biggest lag or disadvantage of the wireless trail camera is that it is practically useless if you are situated in an area where there is no cellular network. 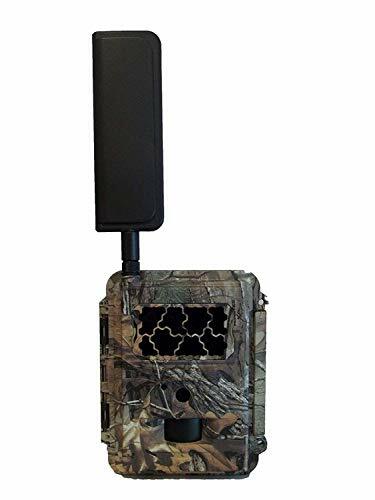 You should check prior buying the wireless cellular trail cam whether there is network connectivity in your area where you will be using the trail camera. When it comes to assembling and orientation of the cellular wireless trail cameras, it can take a while to set it up for a newbie. You need to make sure that the sim card is properly installed on the device. Also, check that the latest version of the application is installed in your phone to access photos from the trail camera. It is inevitable that if a mobile device is using a cellular/wireless network for long hours, the battery consumption of the device increases as compared to using general apps. Same is the case with the trail cameras. As they use a wireless network and are being used to transmit photos to your phone instantly, the battery consumption of these cameras is very high. Considering that the camera has motion sensing, IR features for night shots and triggering capability to take a shot, these functionalities would further add to the battery consumption. Thus, in order to use trail cameras for long hours, it is advisable that you have some extra batteries for such instance. Cellular trail cameras are really good for hunting and surveillance activities. Using the device, you can keep eye on unusual activity in your surrounding. The best part, they are camouflaged from the surrounding and can hardly be noticed. 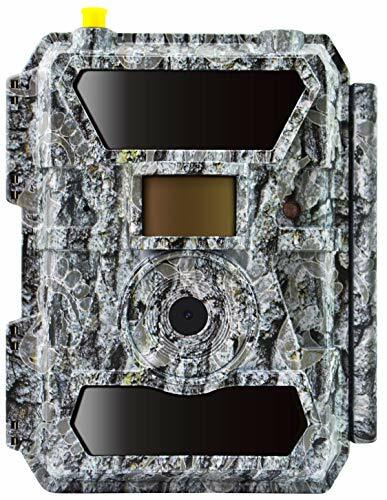 In this detailed post, we have tried our best to bring you the best cellular trail cameras that send pictures to your phone. We hope that you have gained some good insights on how to buy the best cellular trail cameras. Do tell us your views about this post in the comments section below.